Posted on Friday, February 23rd, 2018 at 9:04am . Despite the twin nickname, the cities are separate municipalities with defined borders. 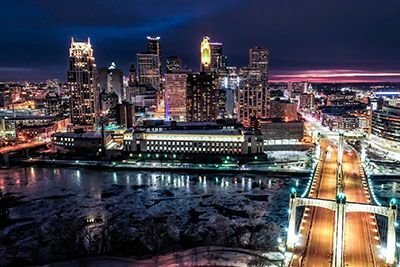 Minneapolis has more modern skyscrapers downtown, while Saint Paul has been compared to an East Coast city with a vast collection of well-preserved late-Victorian architecture. The region is home to the Minneapolis–Saint Paul Joint Air Reserve Station, a United States Air Force base, located at the regional airport. In addition to the Air Force Reserve, the area is also the home of the Minnesota Air National Guard's 133d Airlift Wing. If you’re moving here without a place to live, check out the Air Force Inn in Minneapolis. Staying at the inn can take off some of the pressure you might be feeling while looking for a place to live. The Inn offers rooms with microwaves and refrigerators, as well as recreation and fitness centers. Another option could be the North Country Lodge, also in Minneapolis. Doing a PCS move as a military pack out gives you a bonus of not having to worry about storing your personal belongings while you’re looking for a place to live. Your household belongings may take longer to get to you, but your items can be stored for you if they arrive while you’re still looking for housing. If you might have made this as a personal move, chances are you didn’t bring everything with you that you owned in your previous home. If you’re a fan of thrift stores, be sure to check Yelp’s lists of “The Best Thrift Stores” for both Minneapolis and Saint Paul. There is also the usual assortment of Target and Wal-Mart stores in the area as well, so finding your favorite brands of everything shouldn’t be a problem. If you have young children that may need care because of your work schedule, be sure to look into ChildCare Aware of Minnesota. Family members of all military branches that are deployed may receive fee assistance for full-time or part-time childcare services. 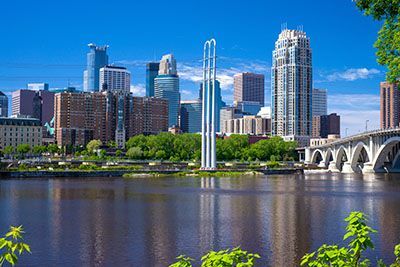 Once you’ve settled in, your new life in the Twin Cities can’t revolve around what’s on-base! Grab your family and check out the Mall of America (MOA)! Located about a half-hour south from Minneapolis, MOA hosts more than 520 stores and specialty retailers and more than 50 restaurants, as well as holds 400 events a year, ranging from concerts to celebrity appearances and fashion shows. But if all that isn’t enough of a reason to visit the mall, MOA also hosts the nation’s largest indoor theme park, Nickelodeon Universe, SEA LIFE Aquarium, LEGO, The Escape Game, SMAAASH, Moose Mountain Adventure Golf and more! Nickelodeon Universe, just by itself, is a seven-acre park featuring unique attractions and entertainment galore, where guests can meet the Nickelodeon characters and experience new rides, like the twirling SpongeBob SquarePants Rock Bottom Plunge and Teenage Mutant Ninja Turtles Shell Shock! 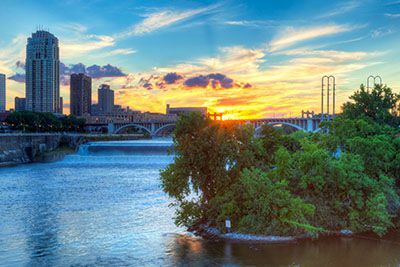 If you’re still looking for more of what the Twin Cities is like, follow PCSMoves on Pinterest to check out our “How To PCS Like A Pro” and our “Life in the Twin Cities: Minneapolis/St. Paul” boards.